Here is another reprised post from the archives - as relevant now as it was 5 years ago. David Snowden's 7 principles for Knowledge Management are justly famous in the KM literature as a simple and accessible set of principles. However they all relate to the supply side of knowledge management; to the transition from unconscious knowing, to conscious knowledge and to expressed knowledge. 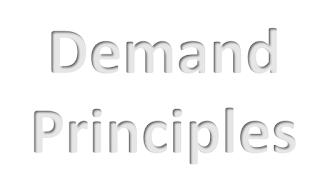 These principles are based on our own experience in Knoco, and there is some overlap with the established “principles of learning” used in the educational field. People don’t pay attention to knowledge until they actually need it. People won’t absorb knowledge until they are ready, and they won’t be ready until they feel the need. I could give you detailed driving instructions of the quickest way to travel from Cheddar in Somerset to Woking in Surrey, but you wouldn’t retain them because they are of no immediate value to you. Then one day, you are at a garden party in Cheddar and your boss calls and says “can you get to Woking as quickly as possible, we have a potential big deal to close and I need you here right now”. THEN you will be highly receptive to the knowledge. The consequence of this "attention when needed" is that it is more effective to set up “just in time” knowledge sharing processes than “just in case” knowledge sharing processes (although these also have their place). People value knowledge that they request, more highly than knowledge that is unsolicited. I don’t know the psychology behind this, but it seems to be true. The best way to get knowledge into people’s heads seems to be by answering their questions. The old fashioned “show and tell” is far less effective than “question and answer”, and the blog is less effective than the discussion forum. The company where the most questions are asked, is often the company that learns the quickest. This principle is behind the design of most effective knowledge management processes, the majority of which are based on dialogue, and the primary focus of communities of practice should be answering questions rather than publishing ideas. People won’t use knowledge, unless they trust its provenance.This is the “not invented here” principle, which is a very strong factor in knowledge management terms. People won’t use knowledge they don’t trust, and they don’t trust knowledge if they don’t know where it has come from. They need either to trust the individual who gave them the knowledge, or the organisational construct (such as the CoP) which provided the knowledge. The source may be an expert, or a wiki (many people trust Wikipedia for example, despite its shortcomings), or a community of practice, and building credibility and trust has to be a key activity when building these constructs as part of the knowledge management initiative. Knowledge has to be adapted before it can be adopted. If people are provided with guidance, tips and hints, or even a “recipe to follow,” they will always tweak it and adjust it in order to “make it theirs”. Sometimes this tweaking and adjusting is necessary to fit the knowledge to their own context; sometimes it is unnecessary in practical terms despite being necessary in emotional terms. So when you are providing people with guidance, tips and hints or even a “recipe”, you have to give them some idea of where they can still adapt it, and where dangerous tinkering should be avoided. Otherwise they may "adapt" the wrong thing. We see this all the time in our Bird island exercise - they all want to tinker with the final design, and you have to let them tinker, but try to guide them to tinker in non-fatal ways! Knowledge will be more effective the more personal it is. The more personal, emotional, and highly charged the learning situation, the more the knowledge will be easily adopted. Discussion, story telling and coaching can be personal, emotional and highly charged, but it becomes difficult to translate this into the written word. The use of stories is very helpful, the use of video even more so. Obviously this has profound implications for knowledge transfer mechanisms. You won’t really KNOW it until you DO it. We very often see in lessons learned meetings, teams that say “we picked up this learning from the previous project, we tried it and it really did work! That was a great learning for us”. When they picked it up they knew it intellectually; after they had tried it they knew it practically and emotionally. Seeing is believing, trying is trusting, doing is internalising. This sort of positive reinforcement of learning is a massive boost for your knowledge management program; as people try things and find they work, this reinforces the belief that knowledge from others is of real practical value. 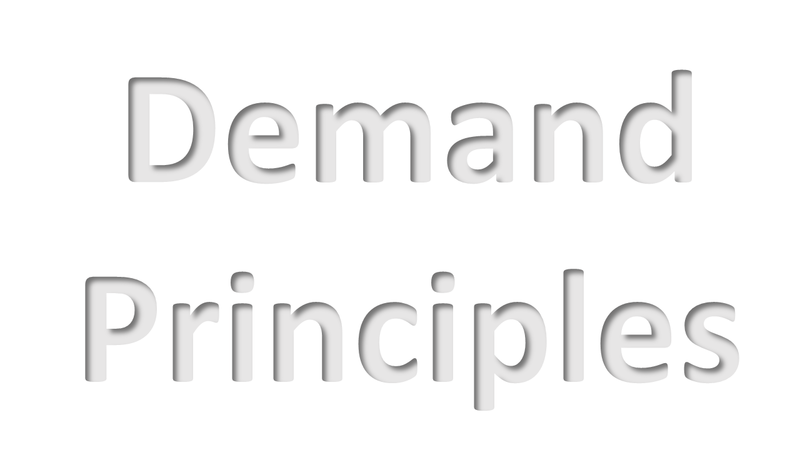 Bear these principles in mind in the design of your KM programs, as getting people to seek, use and adopt knowledge is as hard, or harder, than getting people to supply knowledge.